The sun is our source of life, but for sufferers of 'Leopard's Syndrome', it represents death. A rare genetic disease, the condition causes sufferers to be covered in thousands of freckle-like skin spots, which make them highly sensitive to the sun. Even brief exposure to daylight can cause skin cancer. This heartbreaking and beautifully realised doc follows 5 girls grappling with the disease and a life of terrible restrictions and early mortality. Nada Mezni Hafaiedh is a Tunisian film director. 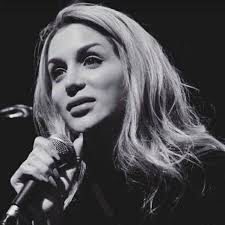 Born in 1984 in Saudi Arabia, she was from an early aged exposed to different cultures due to her diplomatic parents. She went to Montreal to finish her studies in business administration at McGill University, but soon changed her curriculum to follow her passion for filmmaking. On her return to Tunisia in 2009, she opened her production company, Leyth Production, realising her first feature film. Producer Nada Mezni Hafaiedh says, "I am drawn to strong women’s stories and I love the fact of talking about minorities. It gave me goosebumps and I knew that I wanted to be involved. 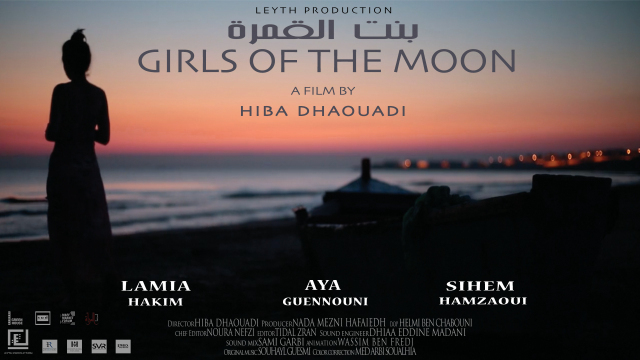 On meeting Hiba Dhaouadi I was impressed with the clarity of her vision for Girls of the Moon. Girls of the Moon is a ambitious documentary and a real testimony to the enormous generosity and commitment of the cast. Indeed, the subject is worthy of it — the ability of the patient to literally defeat the illness is heroic. 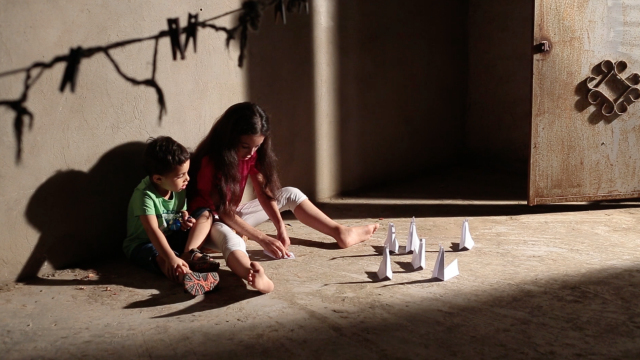 But I’m quick to point out that our challenge as filmmakers, and hopefully what we’ve accomplished, is to go beyond the outgrowth of the disease and portray the courage of these girls of the moon and how they dare to hold life in its fullness even if they are deprived from the sun. The film is more than an expose of horrendous disease xeroderma pigmentosum — it’s a recipe for addressing the problem and a hope for the future. Moreover, the bravest collaborators on the project were the women who shared their stories with us. Because of their openness to share, we have a tool to let the people understand them and accept them as human beings. Yet I believe that stimulating thought about such a sensitive and a dangerous disease is the first step in the direction of alleviating it. By drawing attention to the remedial effects of the efforts of these woman, Girls of the Moon fosters a feeling of hope and seizing responsibility."